You know, after the announcement last month that we’d get some decent info in the July Edition of Japanese Magazine Newtype, I was hopeful for something more than this. Apparently Kyoto Animation are talking in some rather confusing riddles. According to Canned Dogs, Kyoto has actually scrapped it’s original Season 2 production, and taken an entirely new approach. I dunno what they’re exactly going on myself, my take is simple. Of course, I could be wrong. With Kyoto, you never really know what they’re thinking. Anyway… What really interests me is the new hairstyle that Haruhi’s got going. it’s sorta messy. 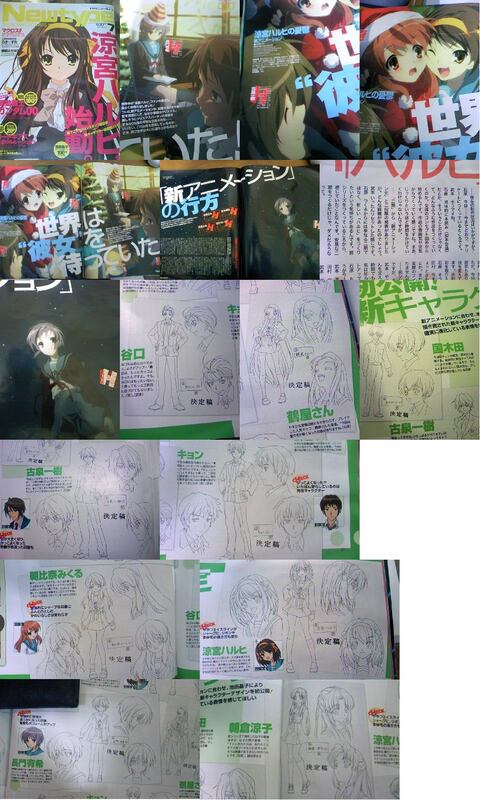 Apparently, the story for this “new animation” has something to do with Haruhi’s dissappearance. I have no idea what’s going, and this is even more random information than the way the episodes Aired OUT of chronological order in Season 1.